As you may have noticed, my 2014 is off to a slow start. My health is still keeping me from doing all the things I'd like to be doing and my brain is a bit foggy, so I thought this would be a good opportunity to post about a few projects we completed in more productive times. Last fall, I found several square shelves at Goodwill for a song. 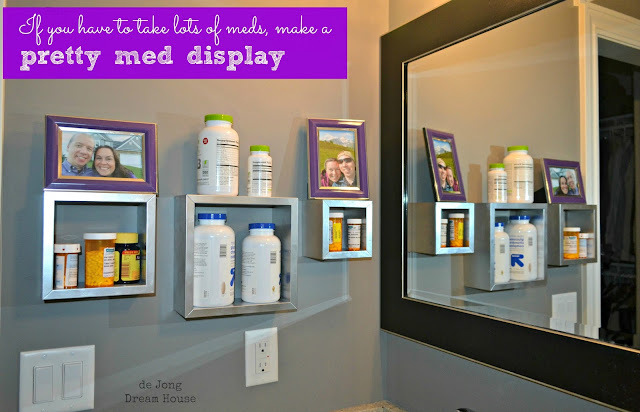 I painted three of them to make a pretty med display. I like that my pills are off the counter, but still out so I, ahem, don't forget to take them. 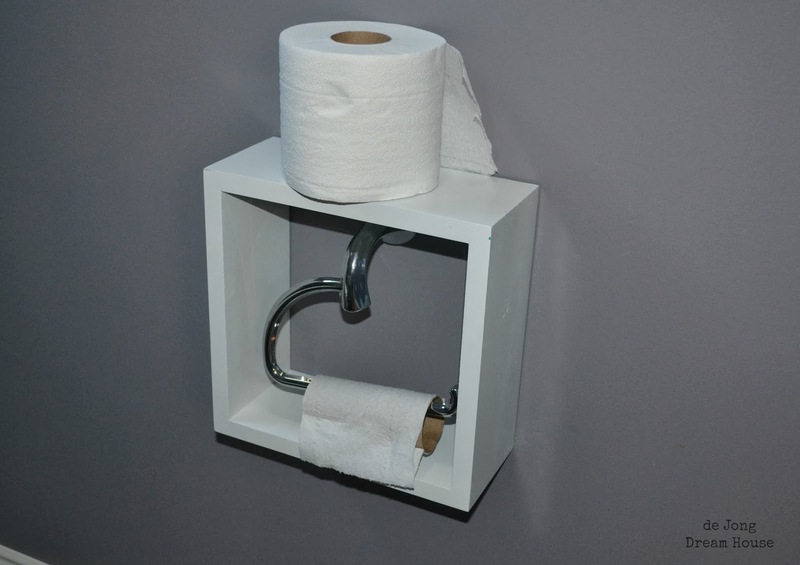 We used another square in the water closet. It's been there for the last several months and have found more than one use for it. We have another reading option on the other wall, where we repurposed our son's crib into a magazine rack. 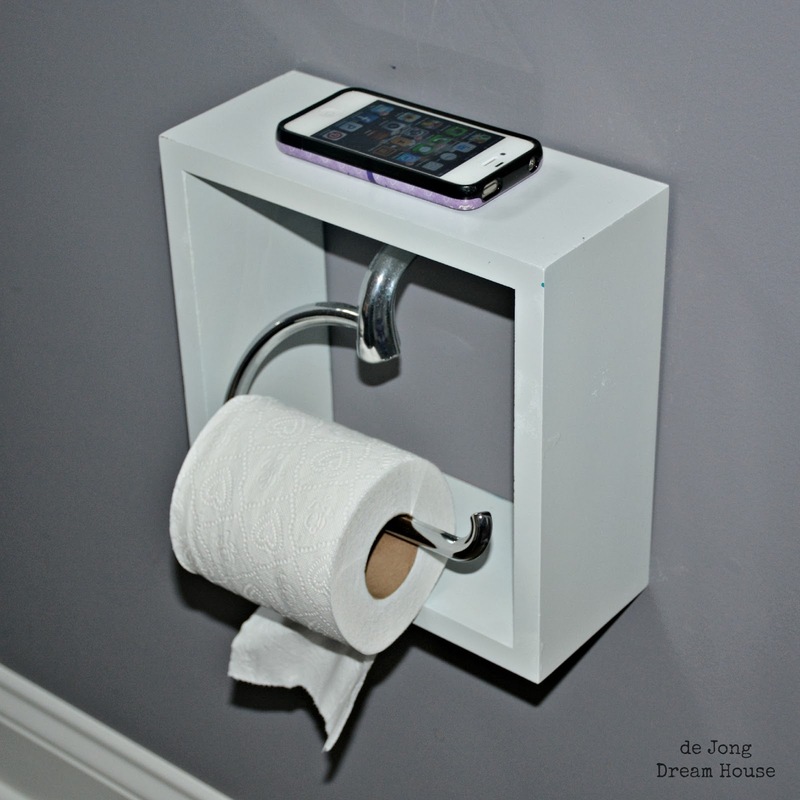 More often, we use the shelf as a phone stand. And occasionally as a hint. 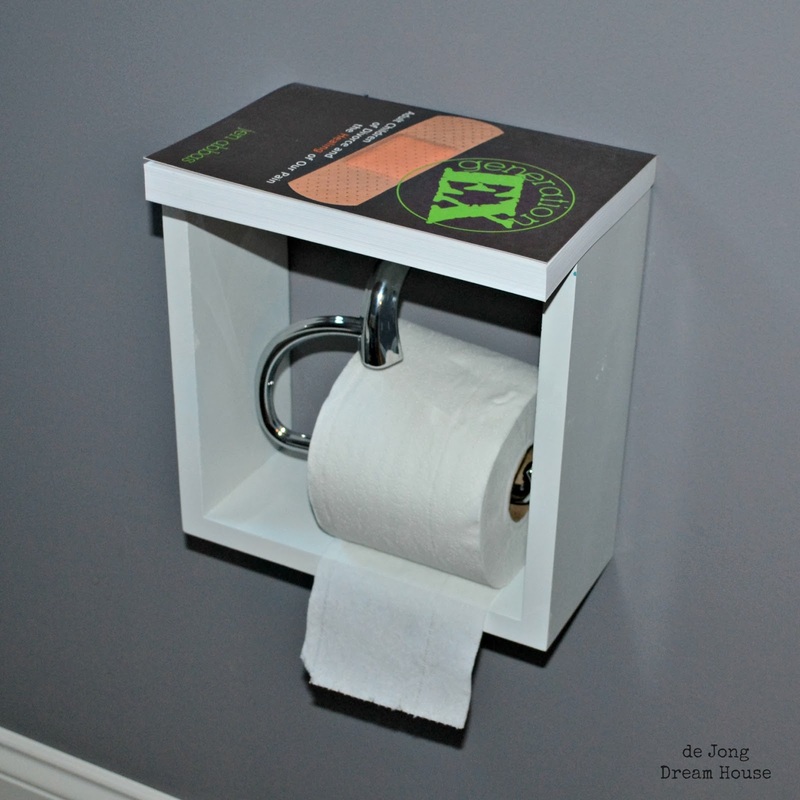 And a helpful way to avoid a TP emergency! 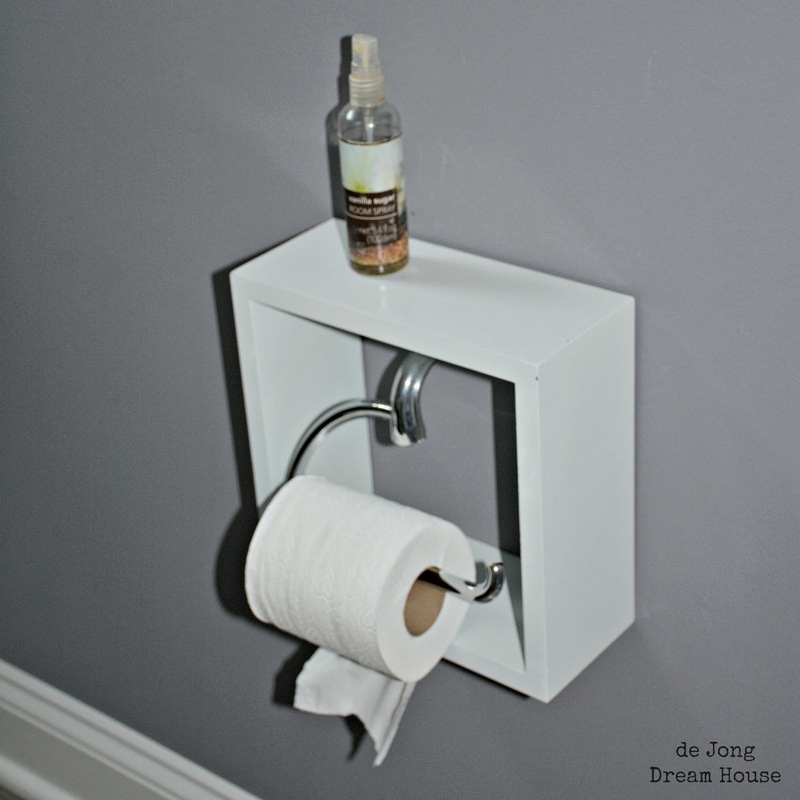 Good idea, looks like it was made for the toilet paper holder! 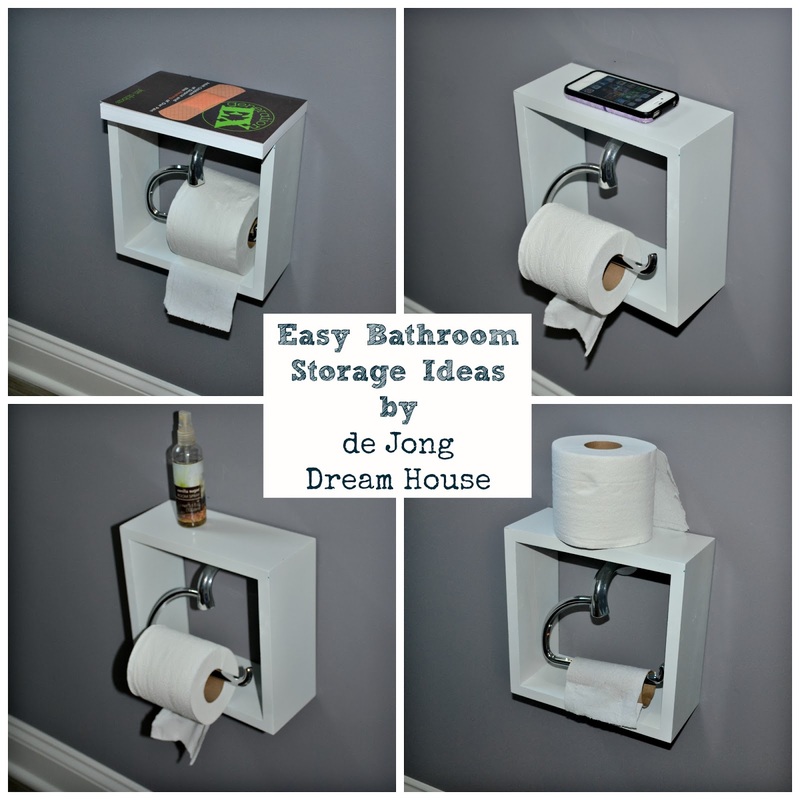 I can think of many things I would want stored there instead of on the top of the toilet tank. Such a great idea!! Thanks for linking up!! Using it for my phone alone would be worth it, but there are so many other uses as well! Great ideas! Oh, and I forgot to say but I found your blog at the HDYDI link-up! Cute! simple and efficient. I popped over from the From Dream to Reality linky.